It might be considered as an ordinary day, but everything has been almost ready for some weeks to celebrate March 8th: what are we talking about? Of course, the well-known date set to celebrate International Women’s Day. It is not just about “girls’ stuff”, but has great social meaning: going beyond the narrower feminine theme, Women’s Day embraces the fight against poverty and for education, and is a powerful and strong tool to remember the social, political and economic achievements obtained by women, and the discrimination and violence which they still have to suffer in many parts of the world. International Women’s Day is now one of the world’s most important events, with celebrations taking place in all the world’s major cities and across nations. This year’s theme is “Connecting Girls – Inspiring Futures” and a historic worldwide event is planned, where millions of women will come together for Women’s Day Live: a 24-hour online event. Concerts, shows and events will be plentiful around the world in major cities like Mumbai, London, Rio De Janeiro and Los Angeles. The aim is to celebrate the transformative power of women, empowering girls and helping to end poverty. It’s a big challenge but members of the many women’s organizations consider these events to be fundamental in giving women a voice that nobody can ignore, because there is no limit to what women can do! Among the most important women’s organizations that will gather together on the 8th March, we can list just a few: for example United Nation Women, CARE, plus almost thousands of local women’s groups. According to UN Women, created in 2010, poverty will only end when women around the world have the universal right to education and freedom from violence. Their report states that women produce half of the planet’s food, but they own only 1 percent of the land; moreover, two-thirds of the world’s illiterate are women and girls: from these figures we can understand that the unused potential is enormous. Born as a socialist campaign, International Women’s Day soon became a global movement. The first women’s movements began to appear in the early 1900s: while Suffragettes in Britain fought for their right to vote, in USA women marched through New York City demanding shorter hours and better pay. The Socialist Party of America organized the first National Women’s Day across the USA in 1909, possibly to commemorate the death of hundreds of women’s workers who lost their lives during a fire that took place inside a textile factory called Cotton, in 1908. The unsubstantiated story tells of 129 women that went on strike to protest against the hard working conditions they had to endure. The strike went on for a few days, until March 8th (others say March 25th), when the owner of the factory, a Mr. Johnson decided to lock the doors of the building to prevent the women from leaving. Immediately a fire started and the workers died in the flames. This initially solely American commemoration spread all over the world, becoming, since then, the symbolic day for women’s redemption. It was the German socialist leader, Clara Zetkin who suggested the idea of an International Women’s Day: she proposed an annual event to promote their ideals, that resulted in the first International Women’s day on March 19th, 1911. More than 1 million people attended the marches in Austria, Denmark, Germany and Switzerland, while Russian women first observed Women’s Day in 1913. Until 1913 Women’s Day was on the last Sunday of February, but it then changed to March 8th. 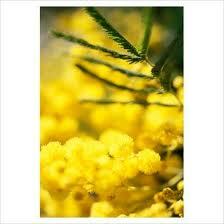 On this day, traditionally in Italy men give women chocolates or flowers, such as sprays of the mimosa that blossoms right in this period. But what better occasion than this to treat your fiancée or your sister or your mother to a very special present that she will never forget? A bag is always every woman’s best friend and they are never tired of showing new models or tonalities! Visiting our online Boutique at www.gleniboutique.com you will find plenty of models of every shape, color and size. Just identify the kind of exotic leather that would be most appreciated, choosing from genuine python, ostrich or real crocodile…. then it will be easier for you to select that perfect item that fits the personality and the character of the woman wearing it. Our best wishes from all Gleni Staff for a happy and peaceful Women’s Day!